First Beta invites were sent! Congratulations to all ESO fans! First wave of beta invites was sent and the Beta was started. Check your e-mail please. ESO fans are waiting for BETA. A lot of players have already signed up but not all of them know about how it will be. One Million likes video was great and funny but not many people could notice that it contains some real pictures from Elder Scrolls Online game. Official Facebook page of Elder Scrolls Online reached 1 000 000 likes. It is a great achievement for all ZeniMax Team. Typically ES players have been able to fully immerse into their character, but in this upcoming ES will that be true? The page will tell you about main differences between combat system of ESO and other games. What is Synergy System? How to interact with other players? What graphic engine does Elder Scrolls Online use? Will HeroEngine be used for ESO? Let’s find out. How much will elder scrolls online cost? How much will elder scrolls online cost? ESO is going to become a great MMO game. Many people are waiting for it and already looking for information. Elder Scrolls Online is finally announced! Elder Scrolls Online is finally announced! Congratulations to all TES fans! Will Elder Scrolls Online become a leader in MMO industry? What prerequisites of success does it have? Free To play or Subscription? Can Elder Scrolls Online be free to play? Why Subscription model is better for a huge MMO project? Will TES Online be a new WOW clone? 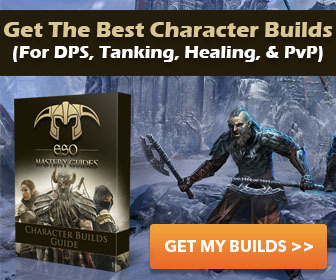 MMO market is full of WOW clones. Will Elder Scrolls Online be also similar to World of Warcraft?